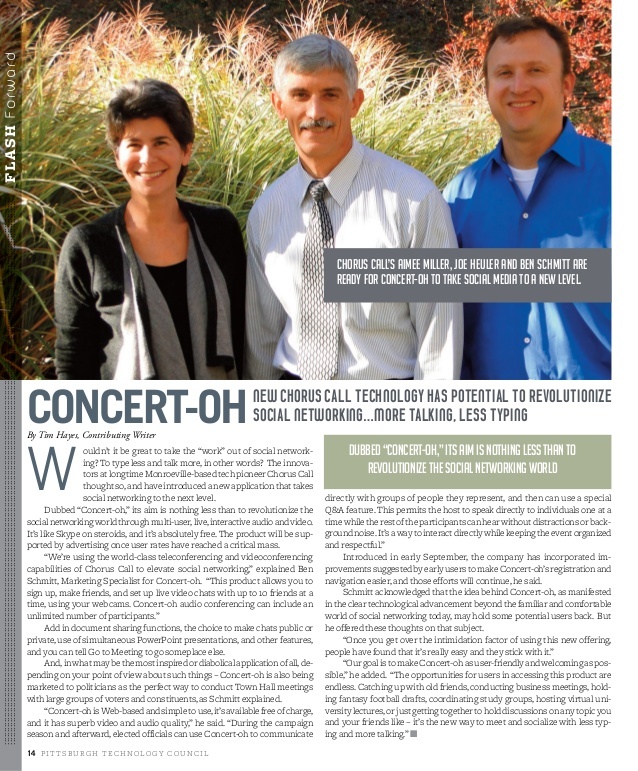 Just a quick note to point you to a recent article in eTEQ magazine about a new partner of Compunetix: Concert-OH. As we’ve mentioned before in this blog, Concert-Oh is a new social collaboration service offered by Chorus Call. This unique service allows individuals to setup and host real-time collaborative sessions (audio, video and web conferencing) and to share information with their friends. Click here for to go directly to the article.